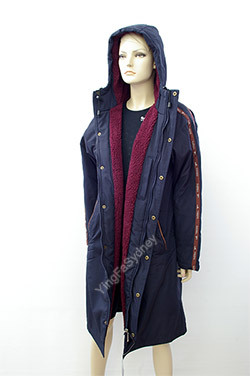 The outer shell is Navy and the inner fleece is maroon. 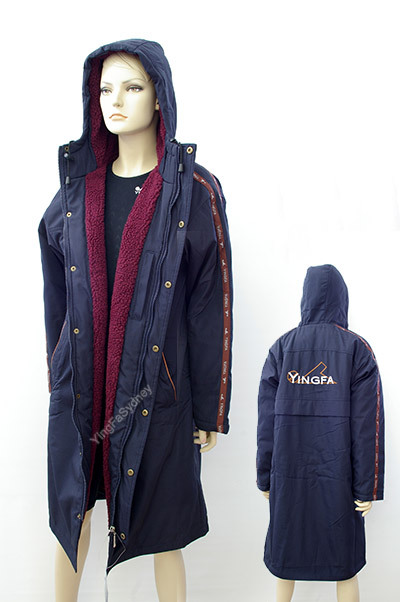 On the back between the shoulders is a large Yingfa logo embroidered on the jacket. the jacket also has a decorative tape which runs the length of the sleeve.